Former professional surf lifesaver, Trevor Hendy AM was the keynote speaker at the RDA Southeast Queensland and Northern New South Wales Workshop at the Southport Surf Life Saving Club on Friday, March 8. Hendy, a highly sought-after corporate speaker, life coach, mentor, author and personal trainer, gave an inspiring presentation to 11 RDA Directors and CEOs at the event. 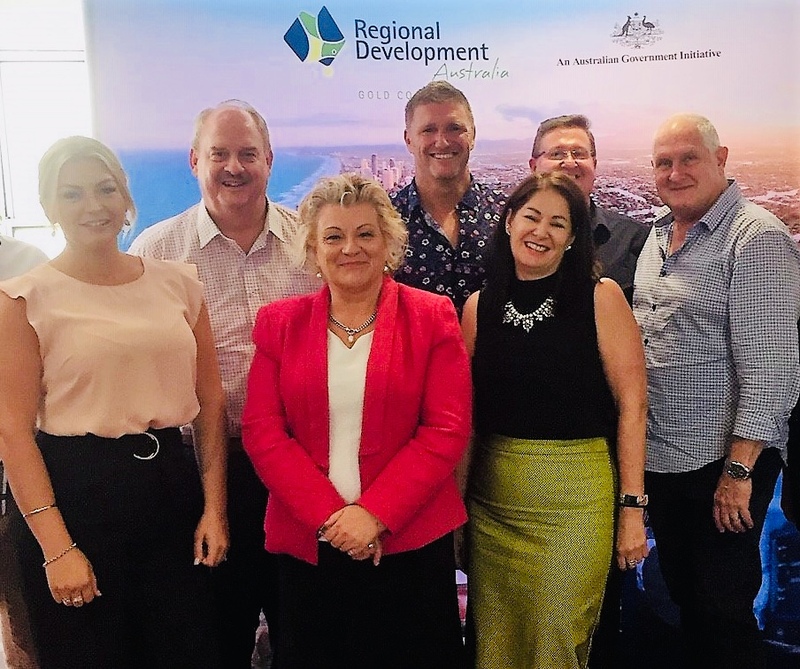 RDA Gold Coast Director of Regional Development, Ms Estella Rodighiero, hosted the workshop, aimed at being a think tank and an opportunity to formulate a collective vision and voice for the whole RDA SEQ and Northern NSW region. In addition, the workshop was designed to investigate synergies where RDAs could collaborate and influence for economic development and jobs outcomes, and it provided insight into social media and stakeholder engagement. This entry was posted in News and tagged Collaboration, Entrepreneurship, innovation, RDA Gold Coast, regional development australia, Southeast Queensland, Trevor Hendy.